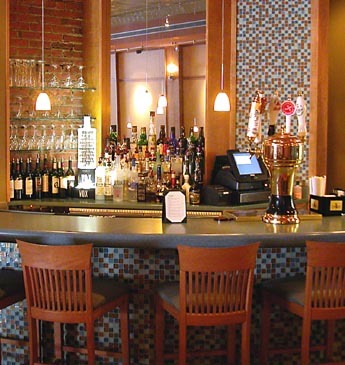 People come to Winfield's to experience great food and drink served in an environment that is energizing and inviting, reminding many of our patrons of dining experiences they've enjoyed in Manhattan, Philadelphia, and Georgetown. Before dining, we invite you to relax at our bar and choose from our extensive list of fine wines, beers, and cocktails. The curved bar and upholstered stools create a comfortable place to unwind and take in the special surroundings.